Which Fixtures Will You Need? At Hortons Home Lighting in La Grange, Chicago, and Orland Park, we love it when new customers walk through the door of one of our lighting showrooms. These customers are often homeowners who are looking for new lights for one or two rooms in their house, but sometimes, a customer is a local builder or contractor who is looking for the best lighting selection for a new construction project. When it comes to building homes, everything comes down to the details, and there is perhaps no more important detail than the lighting styles that are chosen for the property. Without the proper lighting, how would someone see the architectural features of the house, or see the colors of the hardwood floors and the paint on the walls? At Hortons, we love working with local builders and helping them find the perfect lighting, starting with the initial design and finishing with the final walkthrough. As soon as a client hires you to build them a new home, your team begins designing and planning the architectural layout. The client may have some ideas that they want to incorporate into the plans, and you’re more than happy to make sure what they want appears in the final blueprints. Drafting and drawing can take some time, especially as changes come in from the client, or you realize that an initial plan won’t quite work the way you first thought. As the rooms of the house begin to take shape on paper, you can see how the lighting will need to be designed and installed so that the homeowner gets the perfect function and the ideal ambience out of each and every space in their new home. Once the initial design is done, you and your client may know where lights need to go, but you’re likely not sure what type or style of lighting will be best for each room. 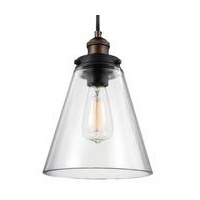 At Hortons, we can assist you with deciding on light fixture style, size, and more. We can even do an initial walkthrough with you and your client to determine which fixtures will be best! Once the building site has been prepped and construction has begun, you will do an initial walkthrough with your client. The walls may not all be up yet, but you do have the plans and the layout for where each room will be. One of our expert lighting consultants can join you on this walkthrough and help you and your client decide on what lights are needed, where they will be, and how they will be integrated into the home’s electrical system. Having a lighting expert on hand can help alleviate some of the stress that’s laid on you as the builder. Our rep can explain watts versus lumens and how the hanging height of a chandelier can affect the look and feel of the entryway, and answer any other questions the homeowner may have. As a builder, you understand construction and how everything comes together to make a home complete, but your expertise may not extend to certain lighting styles or how recessed lighting will affect the mood of a modern kitchen. By having a certified lighting expert with you during the walkthrough, the client can have their questions answered, and you can be a part of (and feel more at ease) with the lighting decisions that are being made. If you’re nearing the initial walkthrough phase with a new client, then contact us today to see how we can help. There’s nothing we love more than assisting with important lighting decisions! During your career as a builder, you’ve likely worked with many different types of people. Each client is unique, and you may have had some who were easy to work with, while others made things somewhat difficult. When a client knows what they want, then it can be easy to choose the right lighting and install it in their new home. It’s when a client isn’t sure or when they go back and forth on fixture options that it can prove to be difficult to make any progress. Over the years, you may have had lighting manufacturers that you trusted above others, simply because you knew that they created quality fixtures that looked great and that would last for many years. These manufacturers and brands also changed with the times, and were always coming out with new styles that fit the new aesthetic and gave people what they wanted. When it comes to finding the right lighting, it can all come down to style. You may have some standard fixtures that you offer every client, and some may choose those while others want something different. When discussing lighting styles, it’s important to keep in mind that the client is going to be the one living in the house, and what they prefer may not be what you prefer. You, your team, or the subcontractors handling the electrical work, will be the ones installing the lights, but the homeowner wants to have something they enjoy looking at and using for years to come. 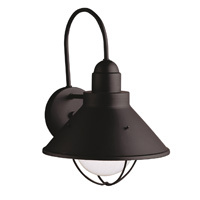 There are a number of lighting styles to choose from, and the variety of options can often overwhelm a homeowner. As their builder, you can suggest certain styles that you’ve seen work in other homes with a similar aesthetic and/or layout as your client’s new property. This can help put the client’s mind at ease, and they may trust in your expertise to choose the best lighting that will work for their home. However, if you’re working with someone who wants something truly unique, or who has a different idea of how their lighting should look, then it’s important to have access to a plethora of lighting styles. This is where working with Hortons can prove to be incredibly beneficial. With our home lighting program and the advice of our expert staff, you can narrow down the choices to present to your client, based on their preferences and desires. You can also find rebates and incentives on products that will bring the cost down, which is always preferential during a new home build. Certain lighting manufacturers offer discounts and rebates for builders who use their products on a regular basis. At Hortons, we can use our membership within the Lighting One cooperative to help you find savings and incentives on certain lighting products. This can help you save on your costs and pass on some savings to your clients. If you’re balancing multiple construction projects at once, as most builders usually are, then you can find savings with bulk orders and lighting programs that fit your plans. Another benefit to working with a local Hortons showroom in the Chicago area is that we offer a whole home lighting program for a variety of floor plans. These pre-built packages make it easy to find lighting for every room in a new home, and we offer free delivery on all lighting. This means that when the lighting comes in, we’ll bring it to the construction site so that it can be installed. If the lighting is ready before it’s time for installation, then we’ll keep it safe and sound in our stockroom until you want it delivered. No more need to find a spot to store the lighting onsite until you’re ready to install it! If you have a client who is waffling on which lighting style or design to go with, then showing them a prepackaged plan can help solidify the motif by showing them how each fixture will function as part of a whole. Instead of looking at one sconce or pendant, the client will see how the design works together to light the kitchen, the bathroom, or whichever room they’re considering at the time. In your career, you’ve built many houses and helped many clients construct the home of their dreams. You’ve built small, one-story houses, as well as large, multi-story houses with plenty of square footage. Each home requires its own lighting plan, and the number of fixtures will obviously vary based on how many rooms and spaces there are. Long gone are the days of one or two lights per room, a large living room or family room might need 10 to 12 lights, once you add in the lamps and other accent fixtures. 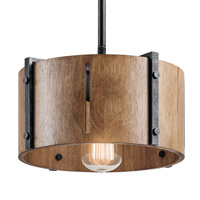 The entrance to the home will require at least one central fixture, whether that’s a chandelier or a pendant light. You can also add in sconces near eye level in order to create the proper layers. 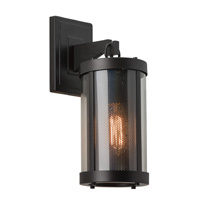 The sconces can also lead into the hallway that takes you to the main part of the house. The kitchen can be the heart of a home, and as a builder, you likely put a lot of time and effort into the kitchen so that it turns how exactly how your client wants it. Along with any central light fixture, you’ll have pendant lights over the island and recessed lights around the perimeter of the room. You’ll also need to consider under cabinet lighting for the countertop areas. The formal dining room may not get as much use as it once did, but when you’re building a home for a client, you can make a statement with the perfect chandelier. When paired with the right sconces and any track lighting, the dining room chandelier can be the best focal point of the entire house. When building a house with multiple bathrooms, it’s important to get the right lighting for each space. The master bathroom might be a sticking point for your client, and with the right vanity lights, semi-flush ceiling fixtures, recessed lighting, and more, you can make any bathroom a beautiful and luxurious space. Every bedroom in a new home build has to be comfortable and functional. Ceiling fans are often a popular choice for bedrooms, but your client may want a mini chandelier in the master suite. Bedside lamps are also necessary, along with other accent fixtures. Choosing the right bedroom lighting can go a long way towards making your client happy. The finishing touches of a new property are often made with the landscaping and outdoor lighting. Your team may be handling the sod and shrubbery, or you may have a subcontractor on hand. Whatever the case may be, it’s imperative to have outdoor lighting that illuminates the design features and architectural characteristics of the home. Everything from pathway lighting to deck lights to motion sensor fixtures will play a role in the exterior lighting design. If you’re a builder in the Chicago area who is looking to partner with a lighting store that boasts a knowledgeable staff and an exceptional selection, then visit a Hortons showroom today. With our whole home lighting program, trade discounts, and more, you can find the lighting you need for any project. We can also work with you and your client on the initial lighting design, and we’ll do a walkthrough with you to review blueprints and assess the lighting needs in every room of the house. You don’t have to try to accomplish every lighting goal on your own. By working with Hortons Home Lighting, you’ll have access to quality products and experts who are always ready to lend a hand. Visit one of our locations in La Grange, Chicago, or Orland Park today to learn more, or fill out the form below and a member of our team will contact you as soon as possible.